More and more pet owners are looking for the best dog repellent spray to aid in correcting bad behavior in their canine companions. It's a simple and humane way to keep your dog from jumping on furniture, chewing your belongings or discipline your pet when he's being naughty. You can train your dog to avoid certain areas with repellent sprays for dogs, and you can also discipline your pooch for performing other bad behaviors. With safe, high-quality dog repellent, you can set boundaries that are designed to keep your pet safe and protect your home from being destroyed when you're away. The best dog repellent spray may be a general correcting spray or it could be specifically formulated for one thing. For example, some dog sprays are designed to prevent and repel dogs from chewing, while others are made to correct canines during training. * Click on the best dog repellent spray for more information, prices and details. Or below to read reviews. This dog repellent spray from The Company of Animals contains odorless inert gas that can be sprayed on pets as part of disciplining them. A very slight hissing sound emanated by the gas interrupts an unwanted behavior, such as chasing or barking. This is a useful tool used by many animal trainers. A free training guide comes with every purchase. The 50-ml canister can be bought in packs of 1 or more, with smaller sizes for those who would like to give it a try first. While pet owners and trainers exhaust verbal measures to correct a dog’s behavior, some dogs simply are too obnoxious or aggressive and something is needed to reinforce the meaning of a verbal “no”. According to buyers of this product, The Company of Animals Pet Corrector is just the right thing to use. The dog notices it immediately, and when sprayed with a firm “no”, it prompts him to obey and stop his unpleasant behavior. It slips into the pocket, so it’s convenient to bring during walks in the park and the like. Some pet owners were concerned about using a sort of punishment or negative reinforcement instead of positive reinforcement in behavioral modification. Most buyers, however, fully understood that this was not something that would be used forever on the dog or on all dogs, for that matter. 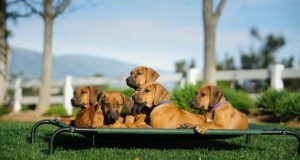 The intent is to interrupt a chaotic behavior with less or no touch, reduce struggling with aggressive canines in the park, and slowly taper down the use until there is no more use for it. Overall, customers were impressed and thought that this was the best dog repellent spray or corrector they’ve ever used. This dog deterrent spray comes in two styles and sizes – the bigger size is made with a belt clip, while the smaller size has a keychain ring. This spray from SABRE contains natural pepper, which deters and interrupts a dog and is safe to both humans and pets. It causes no long-lasting injury or adverse effect. This best dog repellent spray should be used with accompanying behavioral modification training. This way the use of the spray will be lessened until it is eventually not needed at all. This is the most humane way of training aggressive dogs, and it is the brand used by law enforcers. Many walkers, joggers and bikers also found this spray very useful in protecting themselves from stray dogs. Users prefer SABRE Dog Spray – Protector Dog Deterrent because of its natural composition. Also, as mentioned by a customer, a spray of this dog repellent scares the dog, but spares you from being sued by the owner of the animal if you physically harm him. A customer who encountered a pack of dogs, though, complained that the spray was barely noticed by the frenzied canines. For normal situations, however, the pepper spray proved to be very useful in repelling dogs, breaking up dog fights, or interrupting an undesirable behavior. Here’s another dog repellent that’s gentle and natural, but bitter. It is made from all-natural ingredients such as bitters, tea tree oil and water. It repels pets from chewing and biting on furniture, car seats, house door, floor, electrical installations, or any favorite “chewable” around the house. This spray from Particular Paws is especially useful when training dogs, or when puppies are teething. 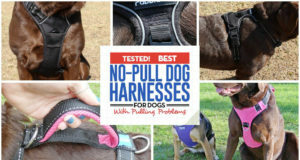 It is a safe and humane way of training and correcting chewing behavior without hurting your dog. Buyers first bought this product for its natural composition, safeness on dogs, humans and the environment, and because it's made in the USA. After the initial use, they found this to be very effective at discouraging pets from biting on anything that they had the penchant for. One spray bottle goes a long way, and most customers didn’t really need to buy more. Dogs learn fast, and they’re not bound to keep on chewing on bitter-tasting furniture or shoes. Oddly, one dog turned to chewing on her own paws when she couldn’t find a good tasting shoe. Another user who sprayed Particular Paws Anti-Chew Bitter Spray for Dogs on her pet’s paws realized that it did not deter the dog from licking his paws. The tea tree ingredient also supposedly caused diarrhea in her dog. Except for those cases, customers preferred this product because they felt safe with it. This product not only kept their homes safe from their pets, it also worked the other way around. Chewing on electrical cords surely would hurt a dog, and this bitter spray discourages them from doing so. One owner noted that when she sprayed this on her dog's paws he still continued to lick them. She also said it gave her dog diarrhea. This bitter spray from Chewfix was formulated to deter chewing pets from destroying plastic, wooden and fabric items within their reach. 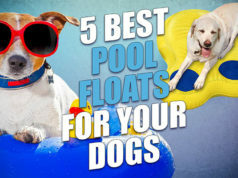 It is a cheap solution to a very destructive behavior on the part of the dog, and it helps prevent anxiety and concerns on the part of the home owner. The product is safe and will not cause stains or chemical reactions on the surface being sprayed on. Customers who bought this product were mostly satisfied with how this bitter deterrent has solved their problem. For once, pet owners were not stressed in finding their newly bought sofas marked by hardworking chewers. They didn’t fear going home wondering which shoe would be the victim this time. Most of these pet owners want something that’s gentle on the dog yet totally undesirable for their taste buds. Users of Chewfix dog repellent spray also found out that it worked better if the dog was provided with a chew toy to vent his frustration on. If his favorite door tastes awful, then the chew toy with peanut butter inside should be a tasty alternative. While dogs normally find this bitter spray repugnant, dogs that can tolerate it cannot simply be counted out. One particular buyer says that his tiny pup does not dislike the bitter taste at all. Other users also found out that it works best if the area sprayed on is kept fresh. There is no horrible smell given off, so that’s another good thing for people in the area. This is one of the top-selling dog repellent sprays available today. It contains bitter extract, water and 20% isopropanol. It is non-toxic, hence, safe to be used around humans, and safe to be sprayed on pets and things that they want to chew on. This best dog repellent spray from Grannick's is ideal for dogs that chew on their paws, fur, tail and other body parts. The bitterness of this solution will discourage them from gnawing, but will not harm them. This product comes in a 16-oz spray bottle, but a smaller size is available for those who may want to test it first. 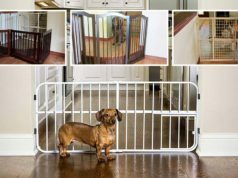 Pet owners who constantly had damaged furniture and personal items chewed on by their incessant biters and gnawers have tried almost every product that promised to deter these biters from their hobbies. Many products were ineffective for them, so they were very excited to find one that finally worked. Grannick’s Bitter Apple for Dogs Spray Bottle was just the miracle that many pet owners needed. Their dogs absolutely disliked the taste. It was also not necessary to keep on re-spraying because the liquid had a distinct smell to it that reminded the chewers of its taste. For a few buyers, this best dog repellent spray didn’t work. But, they agree that it’s not the spray, it’s the dog. Overall, customers found this to be the bitter medicine that kept their chewing dogs off things. The solution is so gentle that even plants that cats and dogs loved to chew could tolerate it. Buyers who have tasted it said that it lives up to its “bitter” name.